Kiwia has stormed home to win the Ballarat Cup. Victoria’s premier trainer Darren Weir has ended a 14-year wait for another win in his home-track feature, with Kiwia storming to victory in the $350,000 Listed Ballarat Cup. Weir has been based at Ballarat for about 15 years but Just The Part’s win in 2004 had been his only victory in a Ballarat Cup. Aided by a rails-hugging ride by in-form John Allen, Kiwia ($8.50) got through at the top of the straight in Saturday’s 2200m race to gave chase after 2016 winner Pilote D’Essai ($51) kicked away to a handy lead. Kiwia reeled Pilote D’Essai in before drawing clear late to score by 1-3/4 lengths, with top weight Life Less Ordinary ($8) another 1-1/4 lengths away third. “It’s a big thrill,” Weir said. “Every trainer wants to win their home town cup. Weir also has a Warrnambool stable where Kiwia is based and the gelding was racing on a seven-day back-up after being a luckless runner in the Group Three Eclipse Stakes (1800m) at Sandown last week. Despite Weir’s concern about whether Kiwia, one of six runners for the trainer in the race, would show his best on a slow track, the five-year-old proved superior in claiming his first win in 13 months. “The writing was on the wall last Saturday,” Weir said. “Had he had a bit of luck he probably would have won that race last week. “I wasn’t sure about the slow track because he ran a bit ordinary at Flemington on Melbourne Cup day when they got the rain. Weir praised Allen who continued a spring carnival to remember having won a host of feature races in the past month including the Victoria Derby (Extra Brut) and Mackinnon Stakes (Trap For Fools) at Group One level. 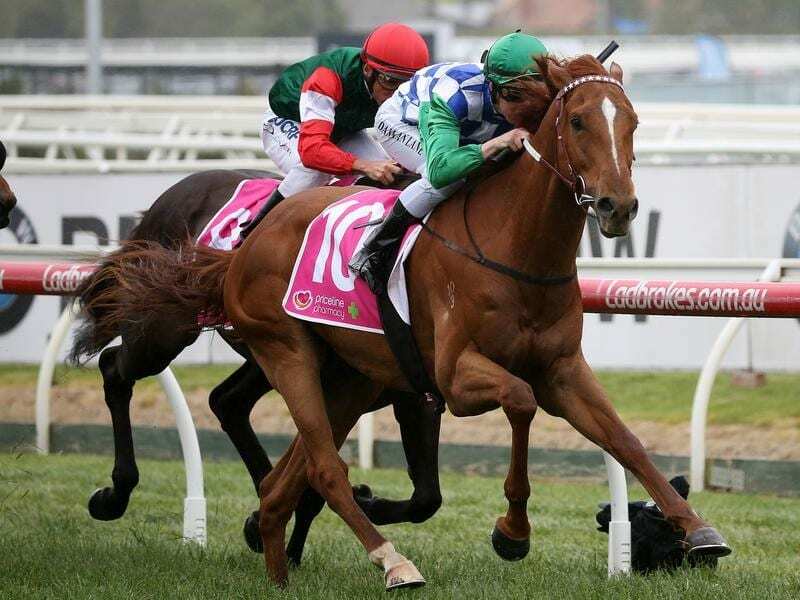 The Irishman also won the Weir-trained Ringerdingding in the Group Two Sandown Guineas last Saturday.